Plastic from baby bottles, CDs and eyeglass lenses is tougher to recycle than soda bottles so it often end up in landfills leaching toxic chemicals instead of being transformed into something new. But a discovery by scientists at IBM’s Almaden Research Center in San Jose is giving this type of hard plastic, called polycarbonates, a new life in a safer form. 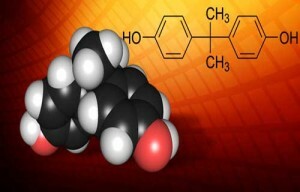 On Monday, IBM Research said that scientists from the Almaden lab found a way to transform polycarbonates into a stronger type of plastic that doesn’t leach BPA, a chemical that has sparked health concerns in recent years. The researchers added a fluoride reactant, a base that was similar to baking powder, and heat to old CDs to create a new plastic that’s strong enough that it doesn’t decompose in a way that leaches BPA. “We exploited the inherent instability of the polycarbonate to break it down and make it into something else,” said Jeannette Garcia, a polymer chemist at the Almaden lab. This new plastic is durable, easy to mold and resistant to certain temperatures, making it well suited for use in water purification, fiber optics and medical equipment. Polycarbonates are more difficult to recycle than other types of plastics, such as disposable soda and water bottles, which are easier to melt down and remold, she noted. Garcia worked with Gavin Jones, a computational chemist on the study, which was published in the peer-reviewed journal, Proceedings of the National Academy of Sciences of the United States of America. The hope is that this new process will get chemical manufacturers, recycling plants and others thinking about new ways to transform polycarbonates into useful materials, she said. “We’re looking for partners at this point to push it forward and bring it to the next level and start using the methodology and exploring what other materials we can make and what the scope of this is,” she said. More than 2.7 million tons of polycarbonates are created worldwide for consumer goods such as LED screens, smartphones, kitchen utensils, baby bottles and more, IBM Research said, citing data from the American Chemical Society.